The botched Obamacare rollout is not the botched Hurricane Katrina response. You may not like the idea of Obamacare. You might be disappointed by the disastrous launch of the healthcare.gov website, or the president's untrue assertion that people who liked their individual insurance plans would be able to keep them. And the president may have suffered a terrible blow to his political credibility. As we learned the other day, more than a million people have already been approved for new coverage, and eventually millions more will have high-quality coverage at a reasonable cost. The millions of individual policy holders who received cancellation notices will -- most of them -- ultimately be better off with insurance plans that conform to the requirements of the Affordable Care Act. Hurricane Katrina, the worst and most expensive natural disaster in the history of this country, was responsible for the deaths of more than 1,800 people. And of course, really, it was not a natural disaster at all, but a man-made one. The greatest number of deaths happened after the storm passed, the result of failed levees built by the U.S. Army Corps of Engineers. 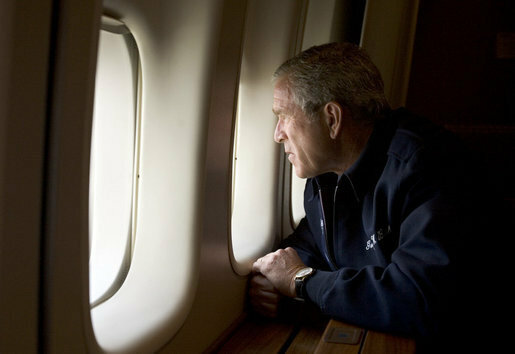 The literally disastrous federal response, symbolized by the unforgettable photograph of President George W. Bush soaring high over the inundated city, and his woefully uninformed "Brownie, you're doin' a heckuva job," remain, and will always be, a stain on the Bush administration. By contrast, the metaphorically disastrous Obamacare rollout is a temporary, political problem. On "Good Morning America" Friday, former Bush advisor Matthew Dowd told George Stephanopoulos that President Obama's failures around Obamacare were a "tipping point in the credibility of his presidency," much the way Bush's failures around Katrina were in 2005. Though Dowd correctly added that "Katrina is obviously qualitatively different from Obamacare," he concluded, "That is exactly what we are seeing right now." In 2005, human suffering was needlessly compounded by an incompetent and immoral federal response. If the Affordable Care Act survives, in 25 years the website problems and the president's failed promise that "you can keep your plan" will be footnotes in a story about how millions of American were finally able to have what they were entitled to all along: access to healthcare and insurance that actually covers them in their hour of need.